Start with a hungry small mouse who is tired of cheese. Add her mama and an idea for the perfect treat. Mix in a search for some special ingredients, and you have a sweet-as-pie picture book to share with someone you love! 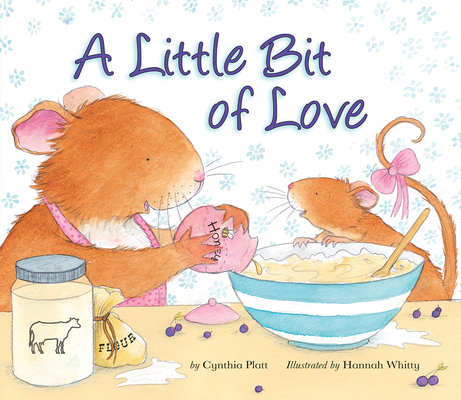 A beautifully illustrated story about a small mouse who learns that when you make something for your little one, it's always made of love. Feel fuzzy mice on the cover of this charming read-aloud thats just right for a bakers little helper!